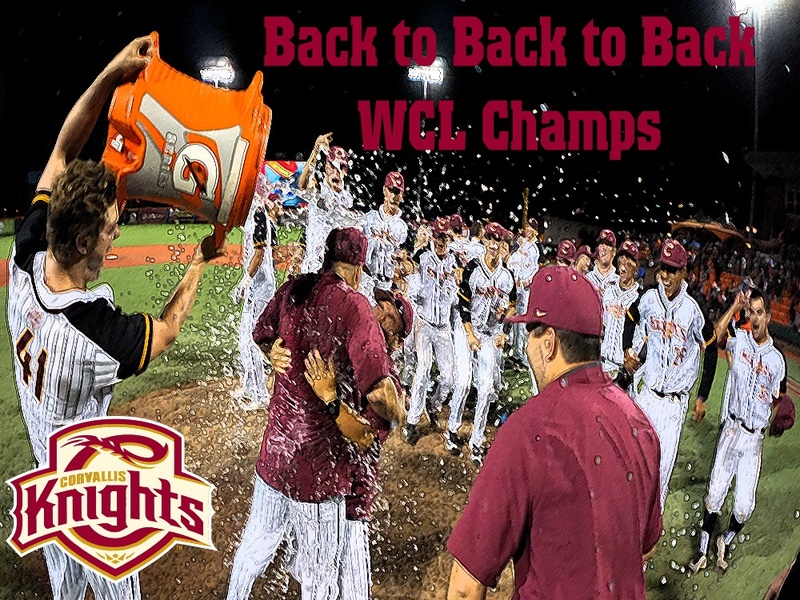 The Knights became the first team in West Coast League history to three-peat when they defeated Kelowna 5-1 before a Goss Stadium crowd of 1,286 to sweep the WCL Championship Series. 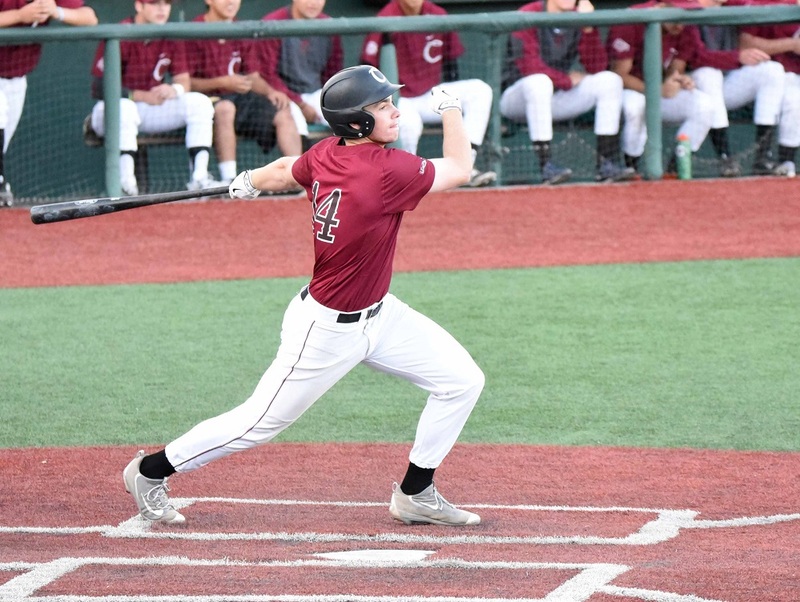 Corvallis (44-20-1) got standout pitching from starter Connor Redmond (Cal Poly) and closer Abbott Haffar (UC Riverside) to capture their sixth overall WCL crown. The right-handers held Kelowna to four hits, retired the final seven Falcons in order, and combined for 12 strikeouts. The most successful franchise in WCL history, the Knights are now 6-3 in the finals under head coach Brooke Knight and 6-4 overall. They also won in 2008, 2011, 2013, 2016 and 2017; they lost in the Championship Series in 2007, 2009, 2012 and 2014. “I love this group of guys,” Knight said. “They really were a team you felt [would] find their way, based on the way they treated each other and the way they came to work every day. A rising junior with the Mustangs, Redmond allowed four hits over 6.2 innings. 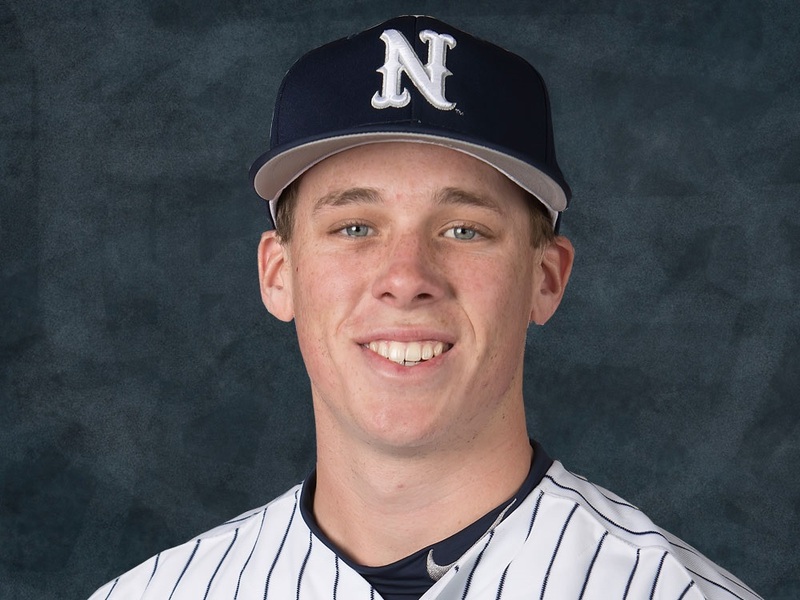 He struck out eight, walked one, threw 62 strikes in 88 pitches, and allowed only one batter to advance past first base, a solo homer by Garrett Kelly leading off the second inning. A sophomore-to-be at UCR, Haffar got the final out of the seventh to strand the tying run at first base. 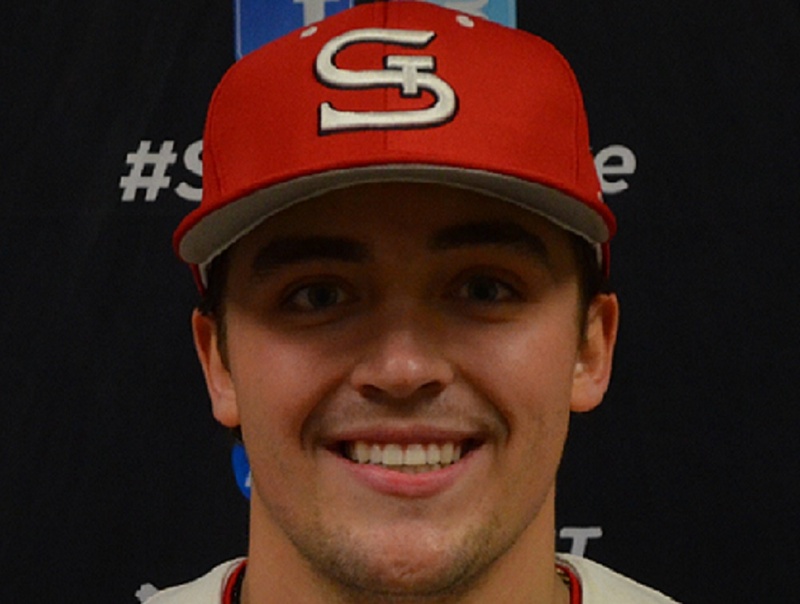 He then added two perfect, efficient innings to record the save when shortstop Beau Philip (Oregon State in 2018-19) threw out Dan Pruitt on an acrobatic play from behind second base to end the game. Haffar, who did not join the Knights until July 8, struck out four of the first five Falcons he faced. He and Louie Crow (San Diego) anchored the back end of the bullpen down the stretch; Haffar was 3-0, 0.71 with two saves in 10 games in the regular season, and 1-0, 0.00 with a save in two playoff appearances. The Knights trailed 1-0 early but went ahead 2-1 in the third inning on an RBI groundout by catcher Zak Taylor (OSU) and a two-out RBI single by Cody Hawken (Portland). They squandered several subsequent scoring chances before breaking through in the eighth for three huge insurance runs. Second baseman Chad Stevens (Portland) made it 3-1 with a sacrifice fly. Pinch-hitter Cole Cabrera (Cal Poly) applied the dagger to the heart with a 3-2, two-out, two-run single to left field for the final margin. Taylor said Redmond came to play in his biggest game of the season. A rising senior at OSU, Taylor, Crow and pitcher Jacob Fricke (Western Oregon) became the first Knights to play on three championship teams. “I love being able to stay in Corvallis, the coaching staff here and the ability to move around to different spots,” said Taylor, who caught and played third and first base upon returning to the Knights after winning the NCAA championship with the Beavers. “Guys want to win here. Game 2 was the polar opposite of Game 1, when Corvallis pounded out 23 hits in a 17-6 win at Kelowna on Aug. 14. The opener took nearly four hours; Game 2 was completed in 2:37. Corvallis swept the Portland Pickles in two extra-inning games in the South Division playoffs to reach the finals. Kelowna eliminated Bellingham 2-1 in the North Division playoffs. The Knights won 15 of their final 17 regular-season games heading into the playoffs and closed the summer on a 19-2 run following four straight playoff wins. They were 20-2 at Goss Stadium in July and August, with a 17-game winning streak between July 2-Aug. 8. It was the second title for Stevens, Redmond, pitchers Trevor Wells (Linn-Benton), Miles Glazier (UC Irvine), Kolby Somers (Oregon) and Cason Cunningham (Linfield), and outfielder Elliot Willy (OSU), members of the 2017 champions. Hawken played for the 2016 and 2018 titlists. The Falcons last appeared in the WCLCS in 2015 vs. the Bend Elks, when they lost in two straight games. It was Kelowna’s second appearance in the WCLCS. Thursday’s crowd of 1,286 upped the season total to 48,622 in 33 events, an average of 1,473 per opening.